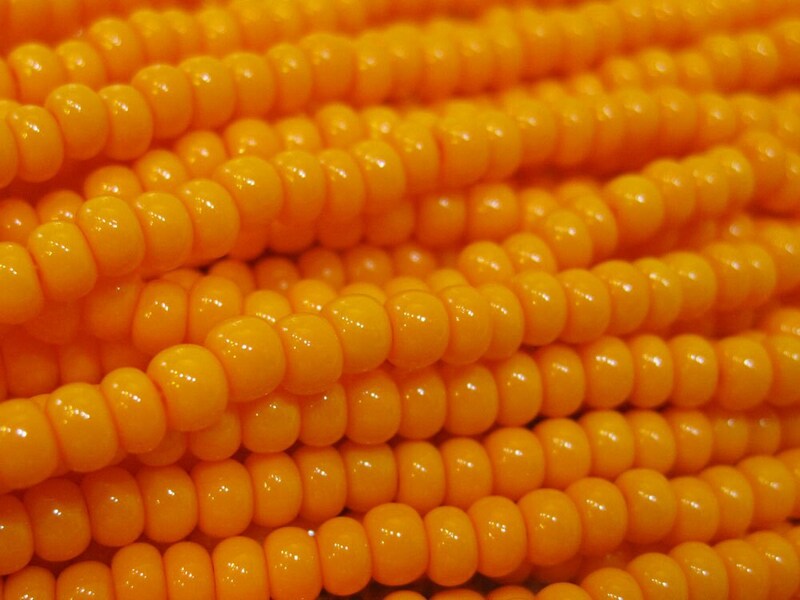 Light orange opaque size 6/0 Czech glass seed beads. Size 6/0 beads measure 4mm (also referred to as E-beads). There are 12 grams of beads on a 19 inch strand, about 9 beads per inch....that's around 170-185 beads!. Plenty of beads for your beading, knitting, crochet, fiber arts projects! Fine, not dyed pumpkin color. Orange spice deep orange color. Bright yet deep color. A few of these brighten a deeper other project color. Recommended. Love this color. Perhaps some beaded pumpkin earrings in the idea box? Speedy delivery! Nice bright orange seed beads. Nice size and fast shipping.